All over the world. Discover a wide range of genres, styles, and sounds from all cultures and continents, with the Lee Oskar Harmonica, tuned in Major Diatonic G (High). Most commonly used to play Blues, Country, Folk, and Jazz. The legendary mouth harp has maintained a reputation of outstanding quality. Designed with air-tight precision. The Lee Oskar Harmonica is made to produce the most robust sounds. Taking the stage with the distinctive harp riffs featured in top of the charts, classic hits. From 'Cisco Kid' and 'Low Rider', to the pioneer funk/jazz group WAR, Lee Oskar's Major Diatonic Harmonica has dominated the Blues, Jazz, and Folk scene's. Whereas standard harmonicas were made with wooden combs, Lee Oskar replaced these with plastic combs. This was to eliminate the chance of swelling while making it easier to clean the instrument. This allowed for a much more precise performance. The recessed bed held the reed plates securely, and as a result, prevented unwanted air leakage. 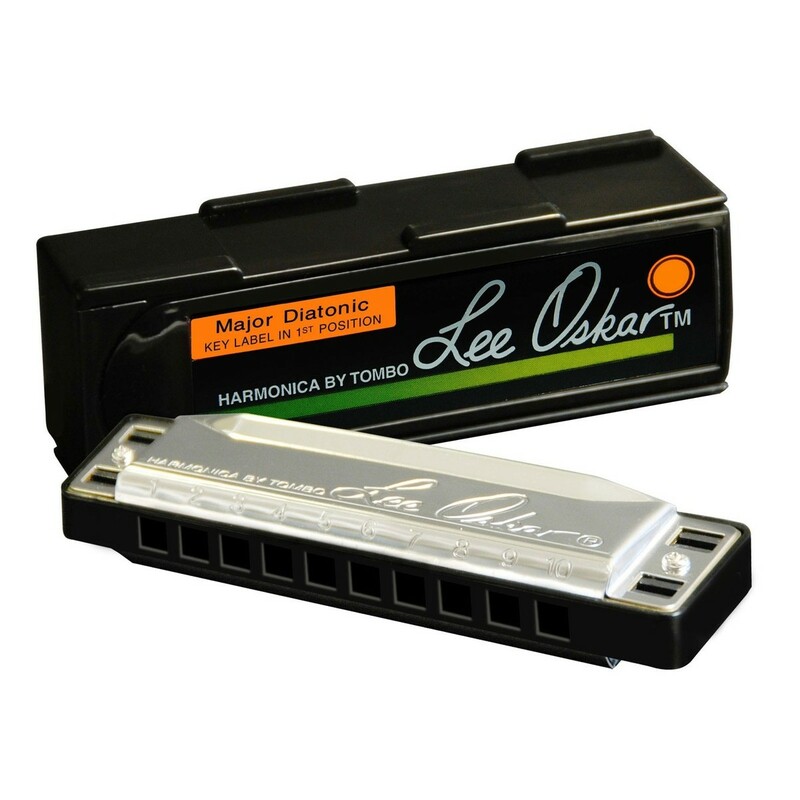 This airtight engineering design coupled with Tombo’s outstanding production process makes Lee Oskar’s harmonicas phenomenal to play. Carefully designed with interchangeable reed plates, you never have to buy another harmonica again. Simply replace your old reed plates and enjoy your incredible harmonica for years to come. Made to serve you a lifetime.